With our design engineering services, 3 Space can help you bring a new product to market, taking you all the way from initial concept to production. Our engineers will work with you to come up with a functional, manufacturable design and help you select the right processes and materials. 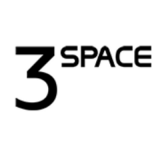 Check out 3 Space online http://3space.us/, or give us a call (502) 855-7222.